Even though the main eclipse may be over, we still need your observations for at least the rest of this year in order to more precisely define 4th contact, and to characterize the magnitude of out of eclipse variations (~0.1 mag in V). Information on the latter will be helpful in comparison with planned post-eclipse observations with both the CHARA Array MIRC imager (with their new 6 telescope mode) and the IRTF SpeX infrared instrument. 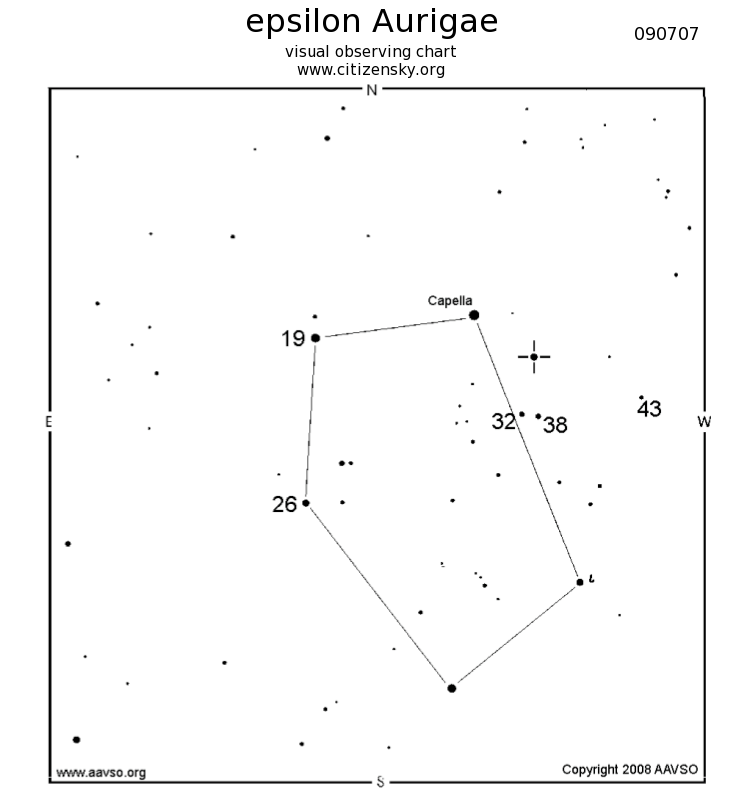 We request at least one observation of epsilon Aurigae every other week at least until the end of 2011. Photometric observations in all major bandpasses (UBVRIJH) are especially requested. This AAVSO Special Notice was prepared by A. Price and R. Stencel.